The petitioner has put on record one of the telegrams 'obtained officially' by him during his visit to the National Archives and Research Administration, Maryland in the USA. New Delhi: Did the Office of Strategic Services or OSS, an intelligence agency of the United States during World War II and a predecessor of the Central Intelligence Agency or CIA, try to protect Mahatma Gandhi? This question is one among many raised before the Supreme Court in a petition which has sought the re-opening of investigation into Mahatma Gandhi's murder, suggesting whether it was one of the biggest cover-ups in history. 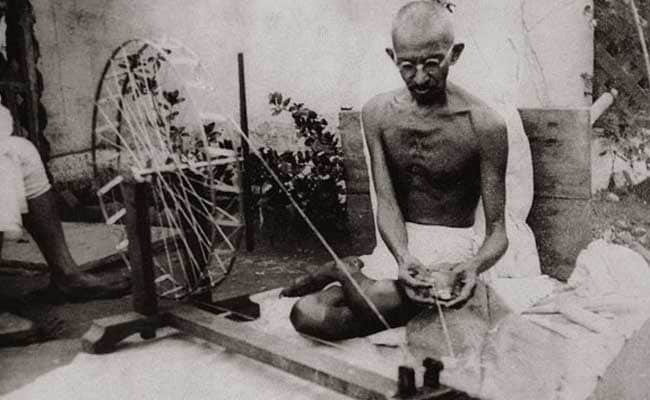 In his written submission, Dr Pankaj Phadnis, a researcher and a trustee of Abhinav Bharat, Mumbai, who has filed the petition, said telegrams were sent from the US Embassy to Washington on January 30, 1948 after the assassination of Mr Gandhi and one of the reports relating to it still remains classified. He has put on record one of the telegrams "obtained officially" by him during his recent visit to the National Archives and Research Administration, Maryland in the USA, during a visit in May this year. Mr Phadnis maintained that as per the "restricted" telegram of January 30, 1948 sent from the US Embassy at 8 pm, Herbert Tom Reiner, Disburing Officer, was within five feet of Gandhi when he was shot, and with the aid of Indian guards, he had apprehended the assassin. "The said Reiner filed a report on reaching the Embassy later in the evening. However, after 70 years, the said report remains classified. The petitioner (Phadnis himself) has filed an application under the Freedom of Information Act (FOIA of USA) for declassification of the said report," he said in his written submission in support of the petition, which is listed for hearing on October 6 in the top court. Mr Phadnis has informed the apex court about his communication with the US authorities in which he has mentioned the third telegram sent later the same evening, apparently after the debriefing of Reiner. It has been marked 'confidential'. "The third telegram is the subject matter of my FOIA request and has not been supplied to me," he has told the US authorities, adding he has filed an appeal in this regard. Mr Phadnis, who has also sought a probe to ascertain whether there was a second assassin of Mr Gandhi besides Nathuram Godse, said he was trying hard to get the US documents declassified to know whether there was a "foreign hand". The petitioner, who has been conducting research on the issue since 1996, will be launching an online petition with the White House on October 2 to demand declassification of the third telegram sent by Reiner. In the petition, Mr Phadnis has also questioned the 'three bullet theory' relied upon by various courts of law to hold the conviction of accused -- Nathuram Godse and Narayan Apte who were hanged to death on November 15, 1949, and Vinayak Damodar Savarkar who was given the benefit of doubt due to lack of evidence. He has claimed that the Justice J L Kapur Commission of Inquiry set up in 1966 was not able to unearth the entire conspiracy that had led to the killing of Gandhi. Inspired by Savarkar, Abinav Bharat, Mumbai, was set up in 2001 and it claims to work for socially and economically weaker sections with a focus on bridging the digital divide. Mr Phadnis has challenged the decision of the Bombay High Court which on June 6, 2016 had dismissed his PIL on two grounds -- firstly, that the findings of fact have been recorded by the competent court and confirmed right up to the top court, and secondly, the Kapur Commission has submitted its report and made the observations in 1969, while the present petition has been filed 46 years later. The petitioner said the case is one which concerns the truth behind the real hands or culprits who had performed the dastardly act of assassinating Gandhi and also their hidden agenda of derailing the 'Gandhi-Jinnah People-to-People Contact' programme that the Mahatma had planned to embark upon. This plan was derailed because of his assassination, the consequences of which are being felt even now, he contended.